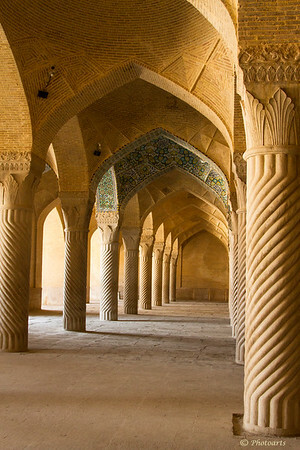 The Unique patterns of the columns and arches at the Vakil Mosque's prayer hall known as 'Shabestan' in Shiraz, Iran draw you in. Excellent - love the repetitive lines! This image certainly pulls you into it!